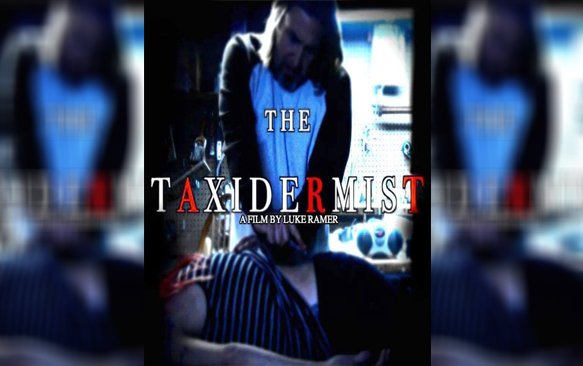 The Taxidermist is the story of Leo, a husband and father who is struggling to keep his life and marriage together. The bills are mounting, and his full time gig as a taxidermist doesn't pay like it used to. One night while working in his home studio, Leo is approached by a man, Kristoff, with a simple proposition: he wants Leo to stuff and mount his wife. Obviously taken aback, Leo declines the offer, and the $30,000 that would have gone along with the job. After his daughter is diagnosed with cancer, and the medical bills begin to pile up, Leo reluctantly reconsiders, and takes the job. After the first gig, Leo is lured with piles of money, and continues to work for Kristoff doing other taxidermy jobs on humans, preparing for a mysterious gala "art exhibition" at the behest of his benefactor. Ramer's skills behind the camera have always impressed me. I've made mention in previous reviews that his eye for a beautiful shot is well above those making films at his level. Where some indie filmmakers put themselves in debt or run to crowdfunding to rent expensive equipment, Ramer has no problem showing everyone why that's unnecessary. All the equipment in the world isn't going to make your movie look better if you have nothing to say, and no eye for the art - and Luke Ramer has the eye for art. As you'll learn throughout the movie, it's all about the art. 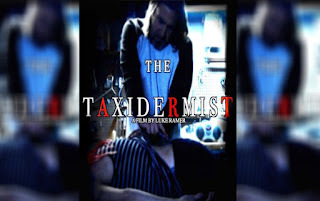 As The Taxidermist wrapped up - with the ending that I not only expected, but that it needed to have - it really came to me how much this film felt like a Tales From The Crypt episode. Leo is a shattered character lead into a new world, sucked in beyond his depth until he realizes it's exactly what he needs...before he snaps. And snap he does, with a brilliant performance from West 2nd regular Brian DiBonaventure, who is the driving force of this slick body horror flick. A movie about the taxidermy of humans wouldn't be much without some expert-level gore, and The Taxidermist pulls it off to the letter. Beautiful, sweeping shots of realistic human taxidermy, created by FX specialist John Lauterbach (Androgynym). The score and soundtrack fit the mood perfectly, and bring the performances and the gore slamming together in expert-level mesh. When it comes to indie horror at this level, it's hard to really bring anything new to the genre. Thankfully, The Taxidermist injects some new life into a stagnant scene of gore-for-gore's sake bloodfests or messy found footage horror flicks. It's the rare underground film that stretches beyond the clichés and actually delivers the goods.